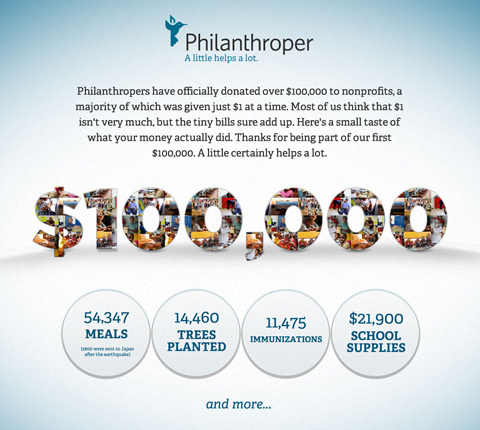 Have you ever thought that to be a philanthroper you had to be a mega-millionaire? 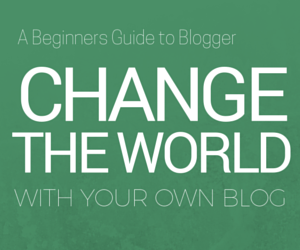 What if you could make a huge difference with only $1 a day, without being a celebrity? Well Philanthroper has done just that. Described as a daily deal website for giving rather than selling, Philanthroper is allowing the act of giving occur on small yet life changing scale. Simply suscribe to their newsletter or visit the site daily to check out the going daily deal. Philanthroper includes non-for-profits from a variety of areas such as those working for human rights, education, health and the environment, to name a few. To learn more or to get involved, visit their site here.